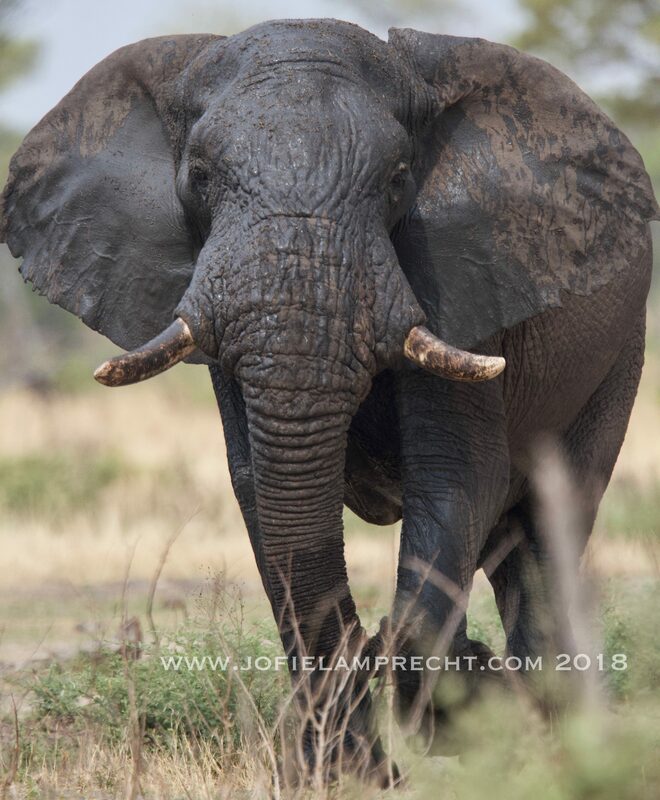 Jofie Lamprecht Safaris in partnership with Echo Seven Investments (Pty.) 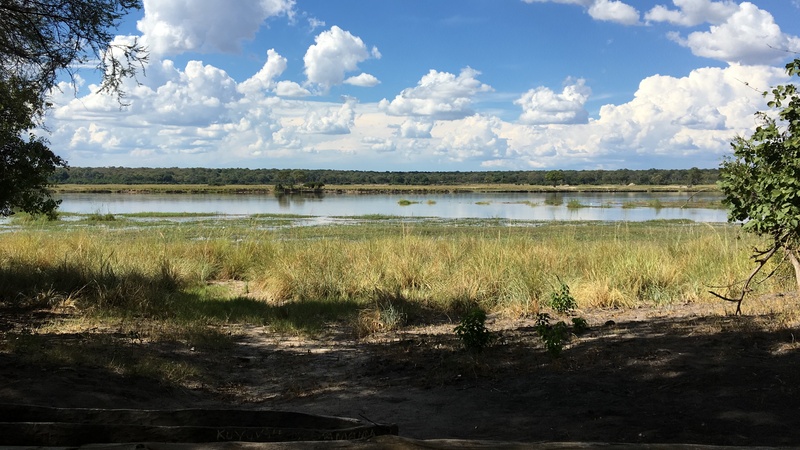 Ltd.
Mahango National Parkfalls within the greater Bwabwata National Park. 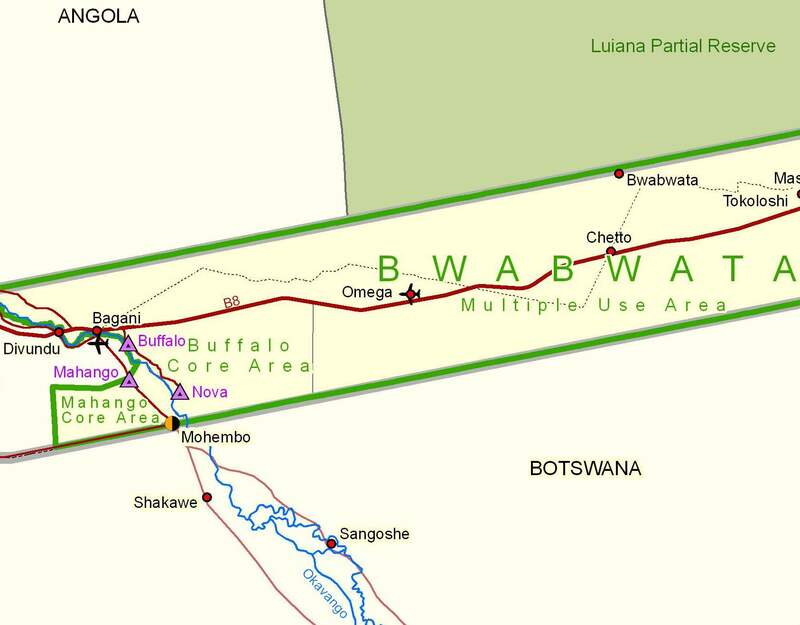 With its southern border Botswana and eastern boundary, the Okavango River basin. 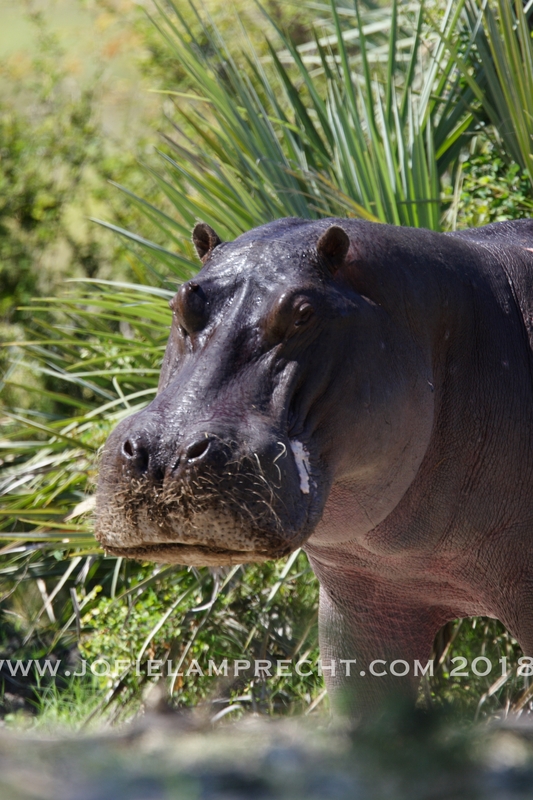 The upper Okavango Delta starts from this park. The total surface area is 245 km² (100 miles2). 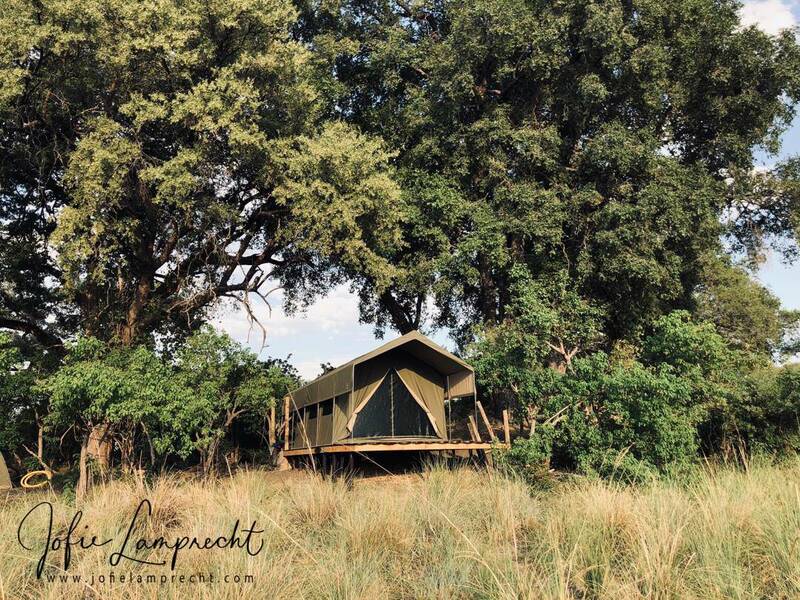 Set on the banks for the famous 1000-mile-long Okavango river is Mukongo Camp. 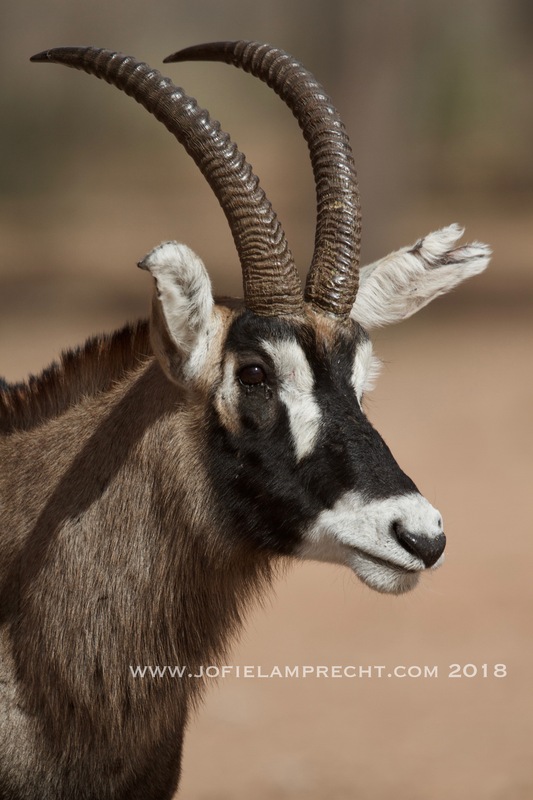 “Mukongo” means hunter in the local Kavango language. 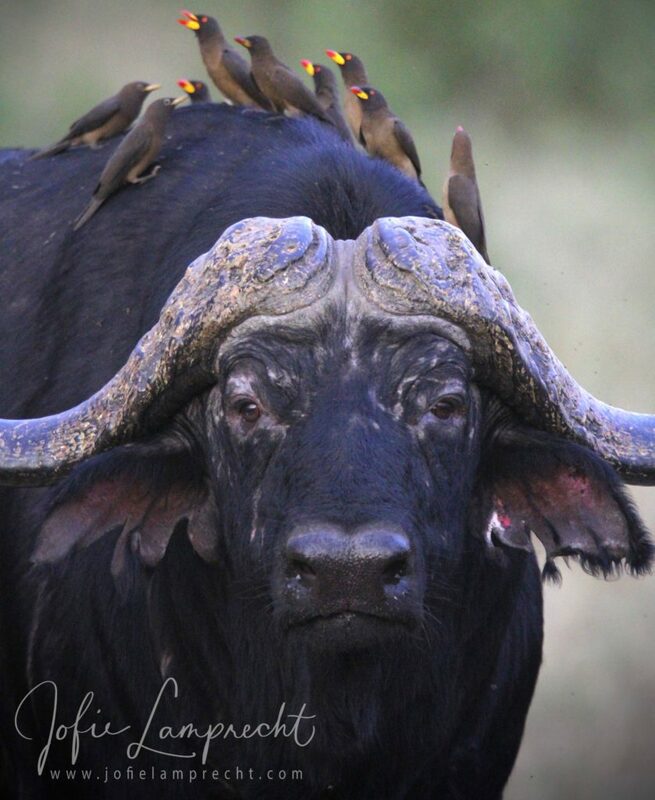 Forming the northern most section of the Okavango Delta, this area has a wealth of game found few places on the planet. 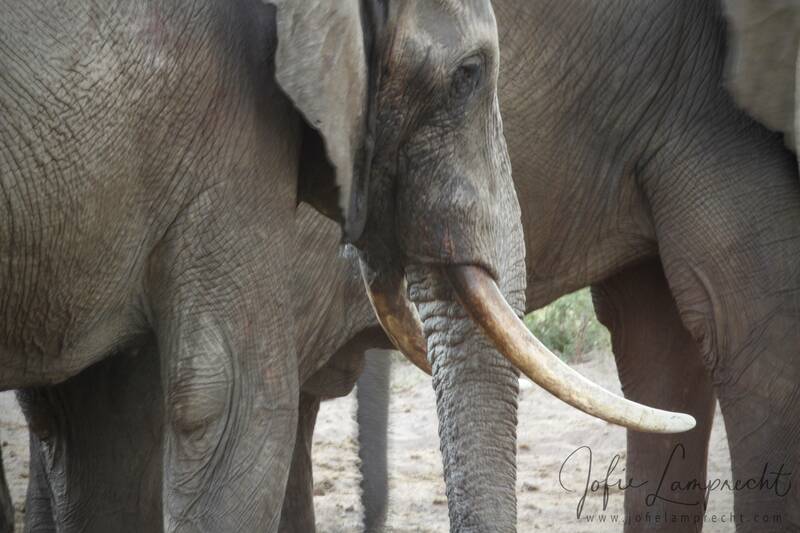 Mahango National Park is set in the middle of one of the biggest and best elephant populations in Africa and the planet – 80 miles from the heart of the Okavango Delta – 40 miles from Khaudum National Park – a short stroll for these mighty pachyderms. The main dining area boasts sweeping views of the river, this scene includes looking into the adjacent National Park on the far side of the river. 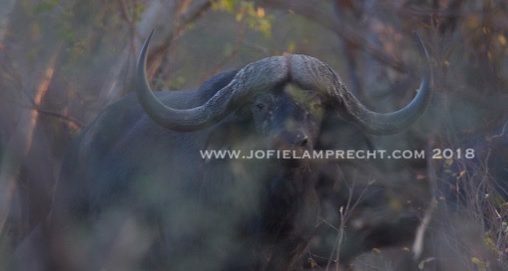 Pods of hippo, buffalo, lechwe, bushbuck, impala and kudu are seen daily from the comfort and safety of the dining area. 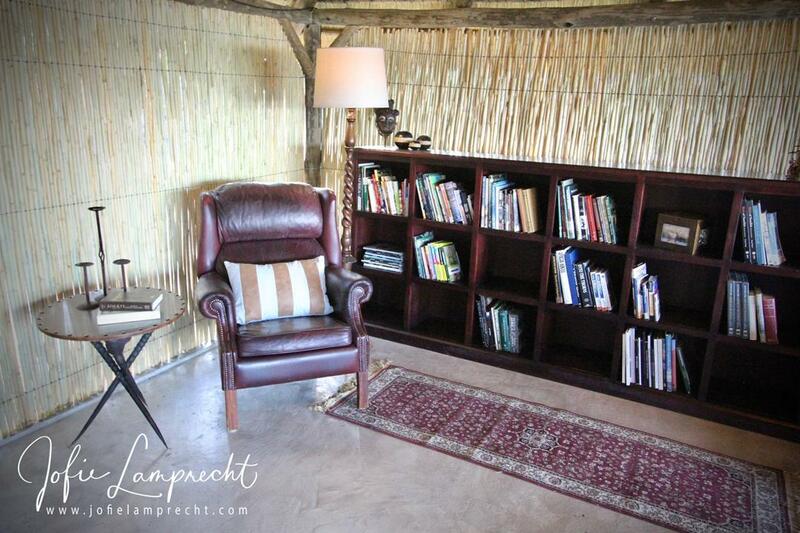 Bar with refrigeration, dinning table, lounge area as well as one of the best stocked hunting and wildlife libraries in any hunting camp in Africa assures you comfort and entertainment during your stay. 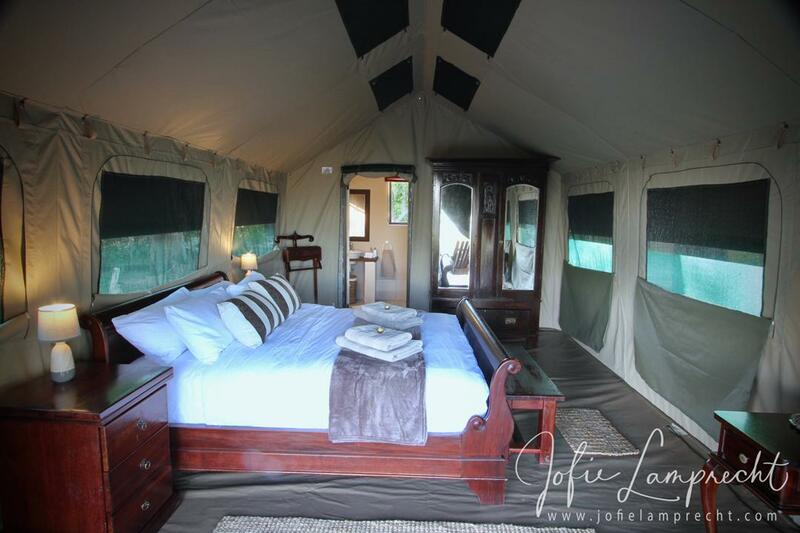 Our guest tents are large, with either queen or single beds, depending on your needs, fine linen, wardrobes, dressing table with luggage and rifle racks. Electric lights as well as a welcoming fan are available 24 hours a day thanks to silent solar power. 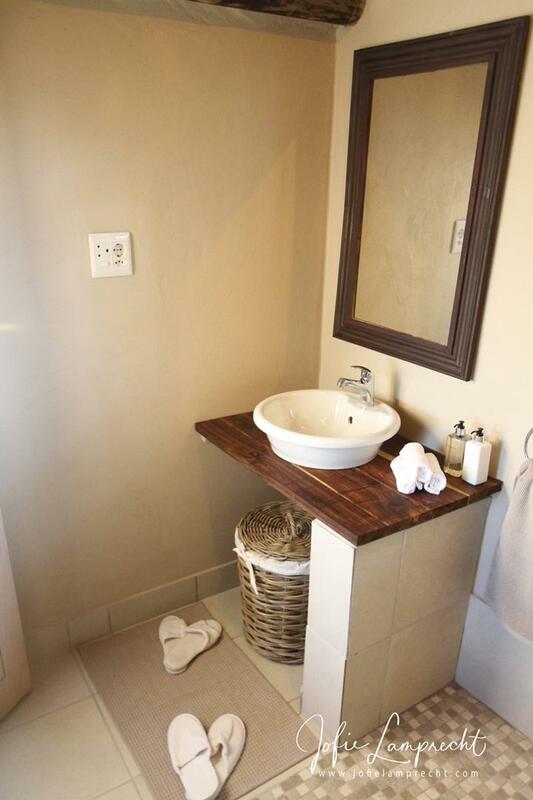 Step out of your tent into your en-suite bathroom, you will find all the amenities your heart desires. Tiled floors, wash basin, flush toilet, large shower with hot and cold water – pressure ensured by a pressure pump. Luxurious bath towels, slippers and dressing gowns round the comfort of your tents bathroom off. 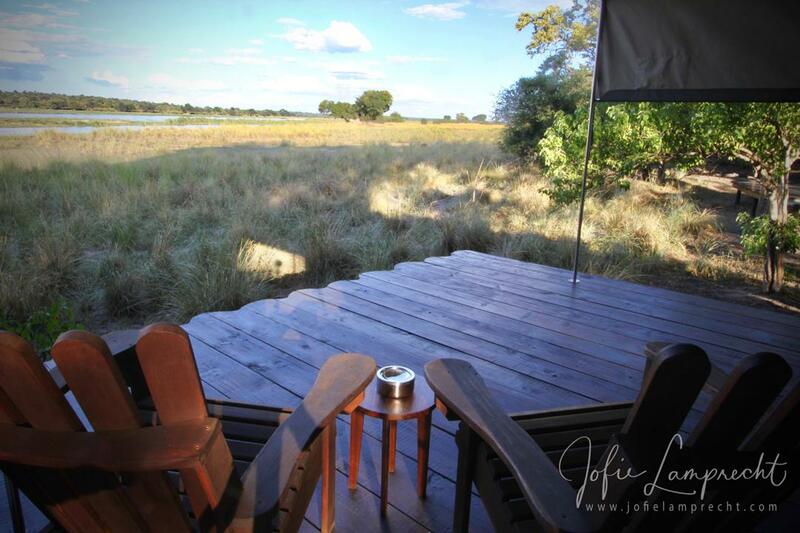 At night you will be welcomed by paraffin and solar lit pathways on white Okavango sand to the fire circle to enjoy the warmth of the flames under billion-star nights and the sounds of the African bush. Lion, hippo, elephant and sometimes the lonely leopard can be heard right from camp. After a delicious three course meal you will be escorted by armed staff back to the comfort of your turned down tent. 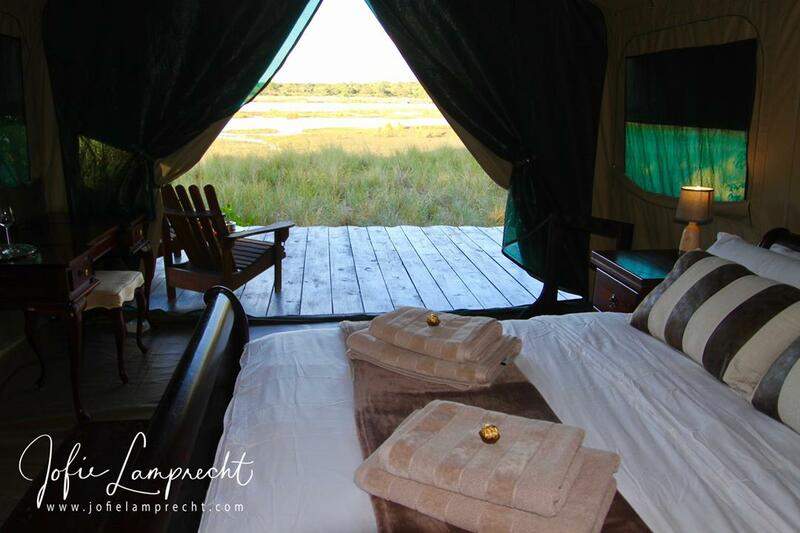 It is not uncommon to have wildlife in camp at night, you will be safe on your raised deck though. As the sun makes its appearance in-front to your tent, a tray of your preferred early morning beverage waiting for you on your deck. Enjoy a warm shower before joining for a hearty breakfast before your adventures of the day start. 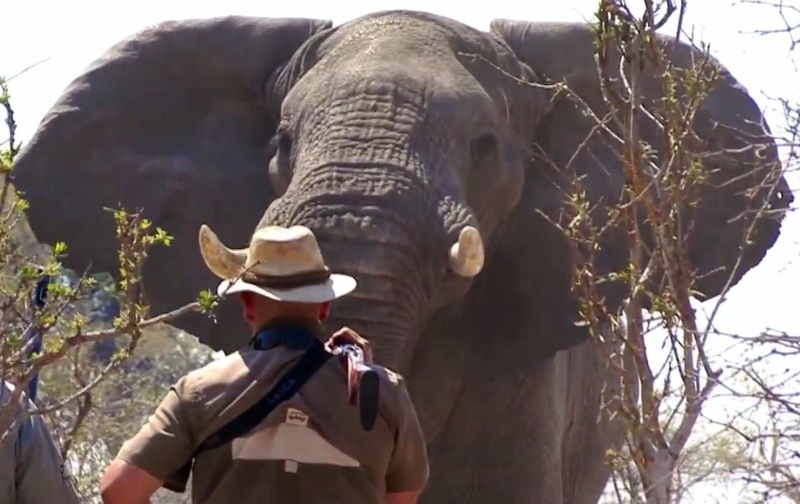 You will be planning your return before you leave the white sands of the Okavango, making Mukongo Camp part of your future adventures in our beautiful Namibia. 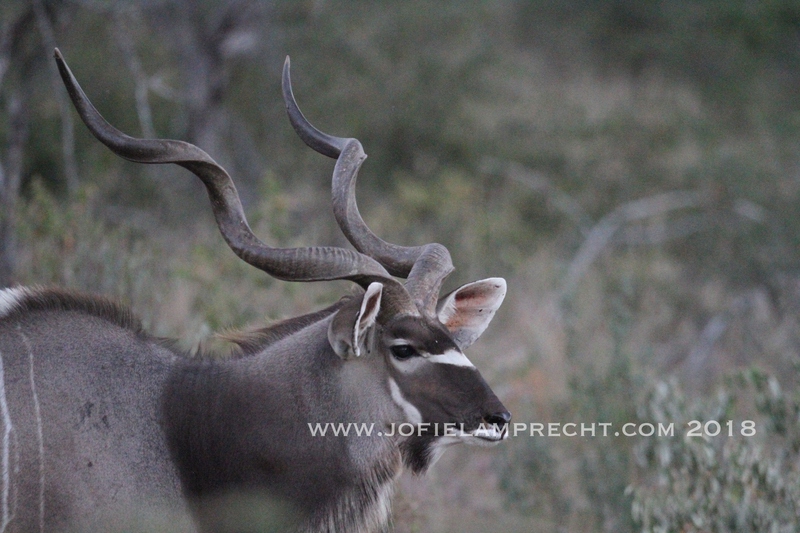 Non-huntable species include tsessebe, bushbuck, leopard and lion. 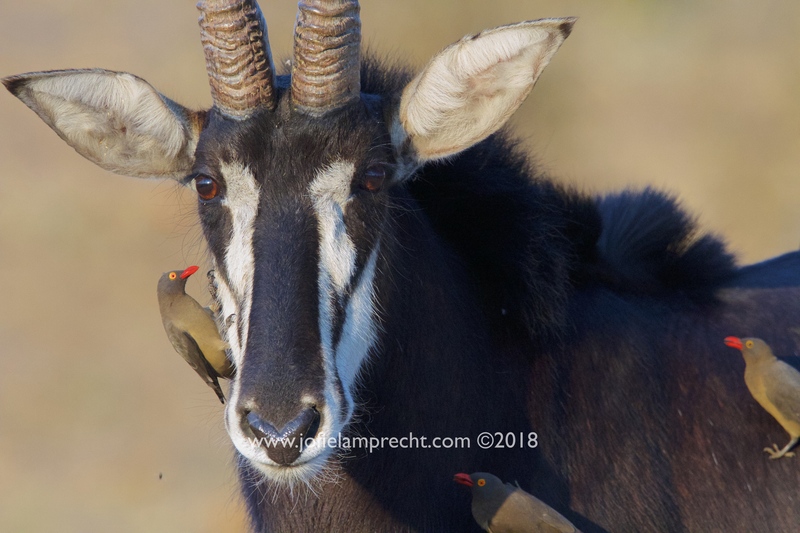 With over 410 species of birds – this is a birders paradise – about two thirds of the bird species found in Namibia are located here. Fishing for tiger fish and other indigenous fish species as well as photographic opportunities are also available in and around the park. Please send us an inquiry for more information. Quotas are limited, so make sure and book your spot for this hunt of a lifetime.